Wallet-size baby photos are going the way of the cloth diaper. The Bambino, a new wireless Internet baby monitor, transmits video and audio to your iPhone—and allows safe sharing of your treasured live feeds with your Facebook friends. 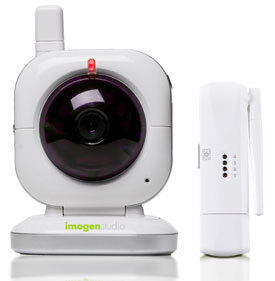 ImogenStudio, maker of the Bambino, outfitted the baby monitor with encrypted transmission channels and a USB 2.0 dongle to wirelessly send the video and audio to your computer. You’ll need to load companion software from Seedonk, which also provides the necessary platform to distribute the video online. The Seedonk IM software transmits the video and audio over the Internet with security technology similar to that used for online banking. 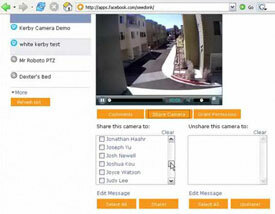 So you can view, manage and share it online from anywhere. 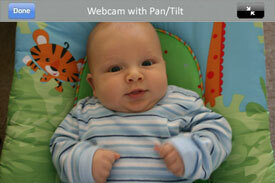 “Live video sharing” capability allows parents to “securely share real-time video from the Bambino with family and friends,” ImogenStudio says. This software is not compatible with Macintosh computers, but a Seedonk iPhone app does grant mobile access to the Bambino, while a Seedonk Facebook app inserts your baby’s every stretch and yawn easily into that social networking site. The Bambino’s built-in infrared lights give it night vision, allowing for after-dark, interference-free baby gazing. When not plugged in, the baby monitor uses four AAA-size batteries—battery life is three hours using night vision, five hours without. Where can the ImogenStudio Bambino be purchased? I looked on their website and also Amazon but found nothing. Is it even out yet?